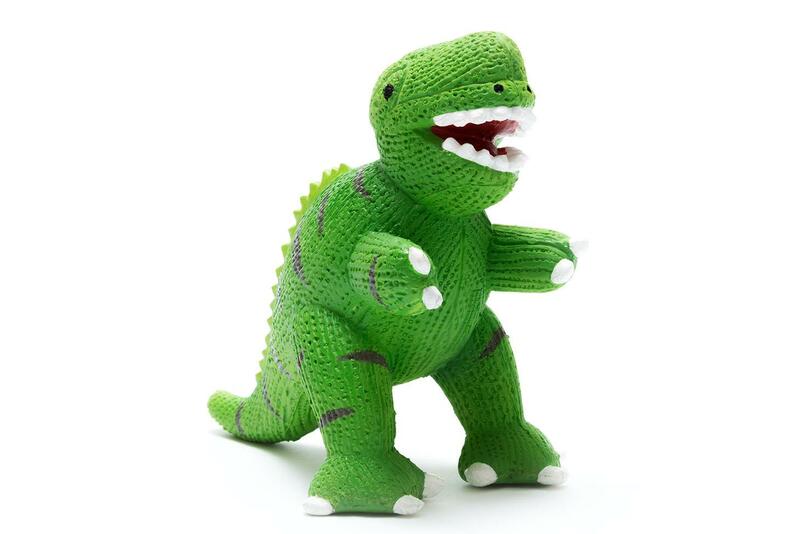 Handmade green natural rubber toy T Rex, perfect for young babies. Textured, natural and soft it also makes a lovely toy for babies to chew on when teeth are coming through. Brightly coloured it is sure to be an instant hit with babies and young children. Our natural rubber toys are suitable as bath toys as there is no hole to let water in. An ideal and unique gift for baby’s first Xmas.